The British Society of Audiology is a non-profit learned society. It is the leading UK organisation for all professionals integrated in the latest science and its application in improving people’s lives with hearing and balance problems. Want to know more? 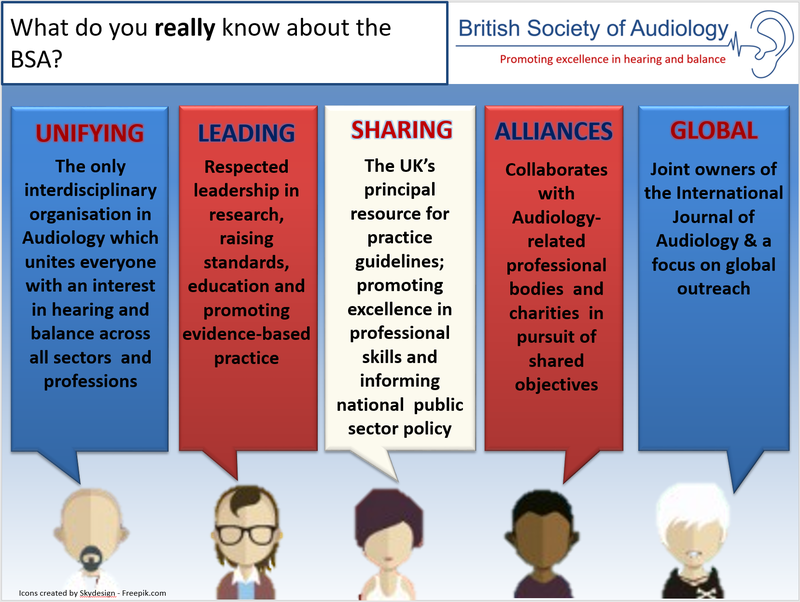 The British Society of Audiology was founded 50 years ago, as a non-profit learned society. It is the leading UK organisation for all professionals integrated in the latest science and its application in improving people’s lives with hearing and balance problems. Our work focuses on the fusion of science and compassion for clinical delivery. We aim to advance knowledge, learning, practice and impact in hearing and balance to enhance care.